-The space needs and appropriate available space to meet those needs within the center of WRJ (could be one or multiple locations within a designated one block area). -Potential site layout(s) for WRMJ, including opportunities for potential expansion over time. -Specific needs and availability of sophisticated telecommunications including high speed internet, video conferencing. -Specific expertise, training and collaborative opportunities needed but not otherwise available in dispersed private working environments in WRJ and environs. -Potential costs and funding sources to support the project. 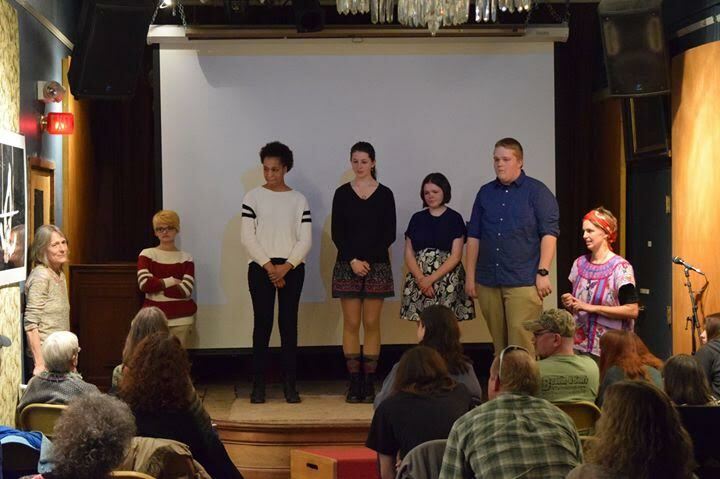 -Optimal ways to provide teens and young adults with training and experiential learning that could lead to jobs in the media arts and related fields in the Upper Valley. The information gathering for the feasibility study work will be handled the four planning committees whose members consist of representatives from the participating organizations and local specialists in the specific topics. A consultant will be hired to manage the project and assemble the work of the committees into the feasibility study. The project committees currently identified are: Outreach and Marketing; Equipment, Telecommunications and Space Layout; Potential Location(s); and, Program. The inter-relationships among IAMAP, Freedom and Unity TV and CATV 8/10, all organizations with significant focus on teen and young adult learners, and all located within easy reach of one another, will be an important feeder into the WRMJ. Programs will be coordinated among the partners; equipment for the Junction will be bought after carefully determining what needs might be across the organizations; and internships, job shadowing; and just plain summer jobs will be available as the Junction grows. We can’t, unfortunately, yet estimate how many, or what kinds of jobs those would be, but our planning will always include meeting the needs of established small businesses in the community and training the next generation to fill the jobs of the future in White River Junction. Community Investments is working with William Bittinger and Associates on an exciting project in White River Junction, VT. WRJ, home to the Center for Cartoon Studies, Northern Stage, the Tuckerbox Cafe, the Tip Top Arts Incubator, is a growing arts, cultural, and culinary center in the Upper Valley. HUB White River Junction: CI conceptualized and assisted William Bittenger and Associates in testing the concept of a seven member co-working site to be located at 35 Railroad Row across from the historic AMTRAK train station. At the time (winter of 2013) 35 Railroad Row also housed Green Mountain Economic Development Corporation, the Vermont Small Business Development Center, state assistance providers such as the Vermont Center for Emerging Technologies; StartupVT; and an interesting mix of technology and technical support businesses. After a six month trail the developer decided that, despite over 50 prospects, the entrepreneurial community in the area was not yet motivated to actually fill the site and it was converted to space for an expanding business located next door. Rochester, NH: CI conducted an Economic Development Feasibility Study for a Small Business Incubator in the City of Rochester NH. The intent of the study was to support business development and serve as a resource for workforce education and training needs. The City’s starting concept was to develop a multi-purpose facility, within an existing retail facility on Main Street, that would provide necessary space, tools and services needed for several small businesses to generate products and/or sales under one roof. Incubator functions would include such things as manufacturing, retail sales, home-based business sales, locally made item sales and information technologies. CI enlisted the assistance of ATC Associates to determine the structural integrity, presence, if any, of contaminants in the building and an estimate of costs to bring the building up to code. 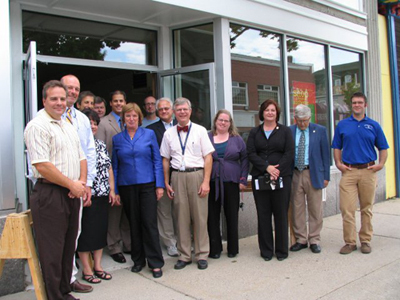 The Windsor Technology Collaborative, as a joint project of a proposed National Center for Precision Manufacturing, Seldon Technologies (a nanotechnology company) and the Windsor Improvement Corporation in Windsor VT. This project received implementation funding from US EDA through a grant written by CI. Under contract to Green Mountain Economic Development Corporation, CI developed an expansion plan/business plan for the Royal Butcher Slaughter House and Retail Store in Braintree VT. CI was assisted in this work by the Vermont Manufacturing Extension Center’s Ken Walker and the Hartford Area Technical Center’s class on Engineering and Architectural Design and its Instructor James Duffy. Owner Royal Laroque had operated the Royal Butcher for 7 years. The business had grown from a State-only inspected facility to a USDA inspected commercial facility that, among others, serves Whole Foods’ supplier Mountain Meadow in Sudbury VT. The purpose of the study was to develop the information to support securing the funds for an expansion of the facility, specifically to expand and reconfigure the existing space for optimum efficiency and enhance the capacity for training, commercial slaughter (which is the most profitable aspect of the business) and for custom and/or local patrons’ slaughter needs. 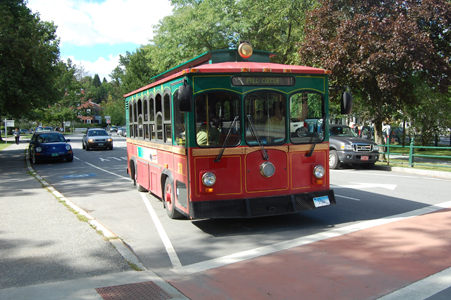 In something of a departure for CI, Two Rivers Ottaquechee Regional Commission contracted with us to provide marketing assistance for the final year of the Full Circle Trolley demonstration project that served the Town of Woodstock in the summer months, The project, a collaborative effort of Green Mountain Power’s Cow Power initiative, the Marsh-Billings-Rockefeller National Historic Site, Advanced Transit, the Town of Woodstock and environmental and tourist organization in the town, the Trolley was designed to alleviate the Town’s perpetual parking and traffic challenges during tourist season while also mitigating fuel use through the substitution of electricity provided to CVPS’ charging stations supported by a biodigester that used cow manure as a feedstock. The Windsor Riverfront redevelopment project encompassed 70 acres stretching along the Connecticut River, adjacent to downtown Windsor. The central area is designed as an active-mixed use district, directly linked to the existing Main Street commercial core. Visitors to downtown can walk down the newly extended Depot Street, shop at the new stores, restaurants and artist studios, and continue on to the riverfront park. To the north is an industrial district within an existing building complex. South of the mixed use district, a new tree-lined road leads through a light industrial district ideal for resource-based and resource recovery businesses  such as fine woodworking, and products from recycled materials as well as other more traditional light industrial uses. Available sites include both existing buildings, vacant parcels, and the potential for a rail spur. South of this industrial district is a small residential development flanking a new waterfront park. The master plan links the Riverfront to Main Street at Bridge Street, River Street and Depot Street, and provides an attractive, tree-lined north-south street through the entire riverfront area. Riverfront pedestrian paths could continue north, eventually crossing Main Street and connecting to the path around Lake Runnemede. View Rails to the Riverfront brochure. 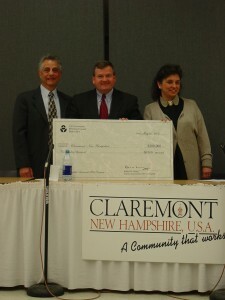 Community Investments, under a year-long contract to the City of Claremont, NH, completely restructured the City’s economic development function; assisted in taking the first steps towards restoration of its historic downtown mill buildings; rewrote the local revolving loan fund guidelines; created a brownfields restoration program by securing a US EPA Brownfields demonstration Project Grant for $200,000 and, with assistance from a University of New Hampshire business school class, wrote a business plan and developed a small business incubator program in an historic structure in the downtown. 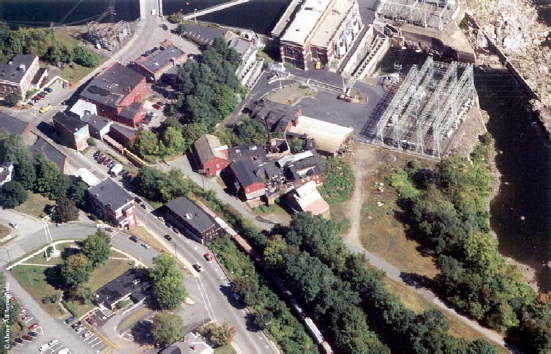 Ownership of the TLR Paper Mills Complex was taken over by Rockingham, VT, for back taxes in the mid-1990s. Before Rockingham’s intervention, the Complex had stood empty for a decade, suffering both fire and water damage. The present set of buildings are the last remaining paper mill structures in the area historically referred to as “Under the Hill.” They are listed on the National Register of Historic Places as part of the Bellows Falls Downtown Historic District. 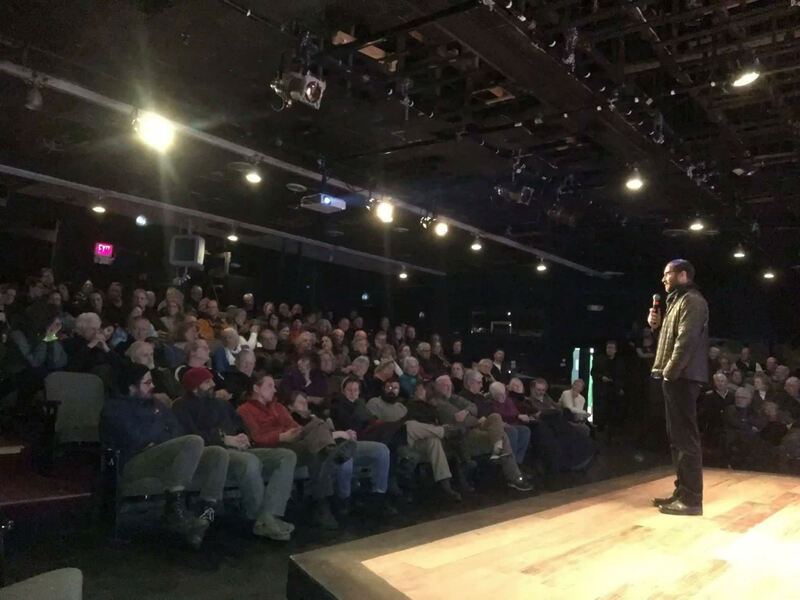 Given the history, significance, designation, and current ownership of the Complex, the community decided to study the feasibility of saving some, or all, of the buildings. The Final Report shows those portions of the building that could be stabilized and rehabilitated for reuse, and provides preliminary estimated cost ranges for stabilization and rehabilitation to the point of “raw” space (including mechanical and electrical) whereby a “tenant” could fit-up the space as needed to suit specific requirements. With a defined plan for building demolition, rehabilitation, reuse , and site improvements in place that respected the building’s historic integrity, the project team then turned its attentions to a redevelopment strategy. However, shortly after the study was completed, there was a fire at the site. The building was not completely destroyed and with the extensive historic and structural assessment completed during the study, the community was able to secure funds to selectively demolish the damaged sections of the building while leaving some important parts of the structure in place for future development.